Industiral IoT deploys lots of wireless sensor nodes in the working environment. 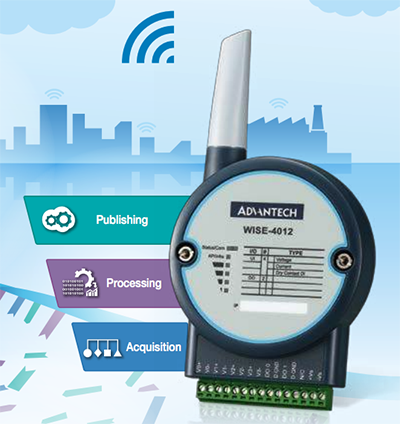 Advantech’s WISE (Wireless IoT Sensing Embedded) series are designed as sensing devices which use a wireless interface using the IoT framework. Wireless interface is the most popular because it reduces number of cables and speed of installation. Advantech’s new WISE-4000 series utilize a Low-Power Wide-Area Network which provides better penetration capability, less interference and longer battery life. These remote modules leverage Wi-Fi, to provide high-performance modularized wireless sensor nodes that can be easily integrated into existing networks.